The Bundanoon is Brigadoon highland gathering is a great day and one of the largest such events anywhere. (The title comes from the Brigadoon myth.) A small town in the Southern Highlands of NSW, Bundanoon is taken over for the day, with thousands of visitors, a parade, music, dancing games, hundreds of stalls, etc. 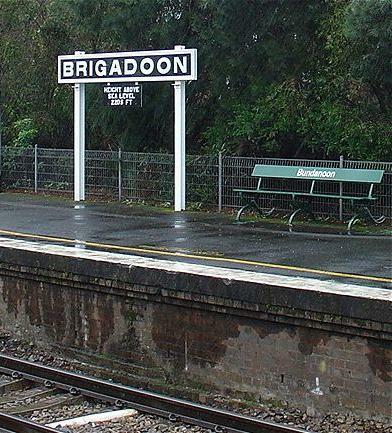 They even change the name on the small railway station, on the main Sydney to Melbourne line. 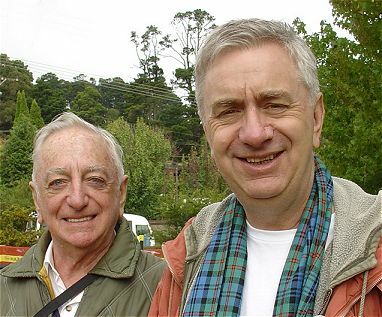 So James and I invited my Dad to travel to Bundanoon for the day with us—quite a distance from his home in Albury. But as the saying goes, “be careful what you pray for!” We’d been praying for rain for months and, on the festival day, it happened. The rain fell all day. The main venue was thick with mud. It was impossible to see much through the hundreds of umbrellas—a disappointment for the organisers and the many hundreds of participants. 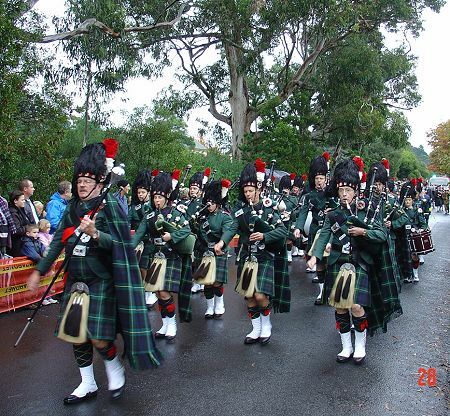 The parade was the largest yet, with 26 pipe bands, but most of them looked a bit damp and played accordingly. I enjoyed meeting Glenda Mason, Commissioner in Australia of the Clan MacFarlane Society, of which I’m a member, staffing her stall under the MacFarlane banner! An event of note was the launching of the Australian National Tartan by the Chieftain of the Day, British High Commissioner the Rt. Hon. Helen Liddell. 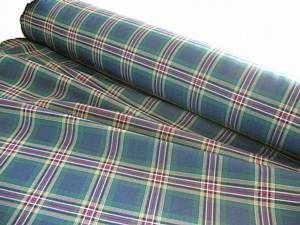 The tartan was designed as Australia’s official, accredited and recognised tartan, by Mrs. Betty Johnston of Canberra in consultation with the protocol section of the Department of the Prime Minister and Cabinet. The colours include the red, white and blue of the Australian flag as well as Australia’s official colours—green and gold. The blue and green dominate, representing a rural setting of blue skies and green trees. The six white stripes represent the Southern Cross constellation, and the federation star, black stripes in the tartan represent Australian’s early beginnings as a convict settlement, a dark area of our history. 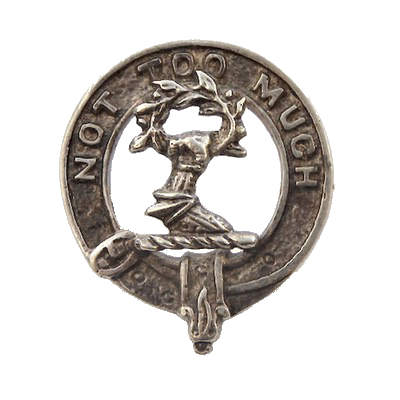 It’s registered as 2742 in the Scottish Tartans World Register and no. 6098 on the register of the Scottish Tartans Authority. Dad and I managed to raise a brave smile, despite the dreich (*) day. But we do give thanks for the rain. 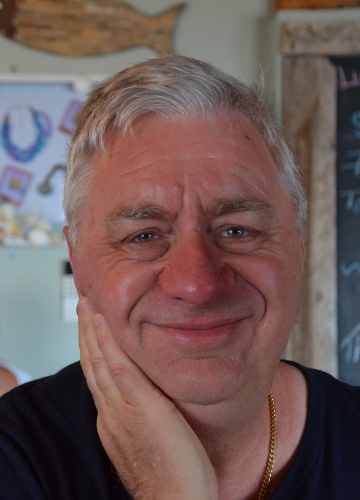 And yes, that is the MacKinlay tartan I’m wearing. (*) Dreich: A combination of dull, overcast, drizzly, cold, misty and miserable weather, several of which must apply before the weather is truly dreich!